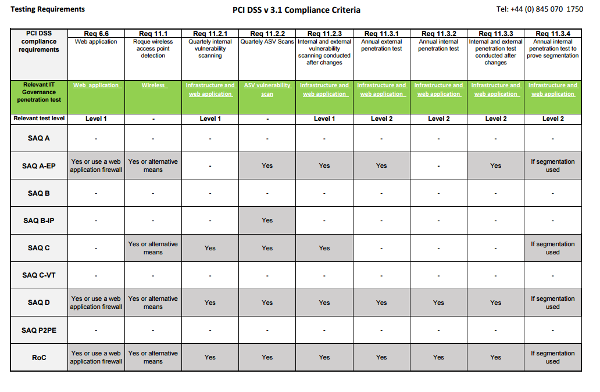 Requirement 11 of the PCI DSS covers the need to regularly and frequently carry out tests to identify unaddressed security issues and scan for rogue wireless networks. Regular testing is fundamental to ensuring that an organisation is prepared for the full range of attack types that companies have to face. IT Governance provides all of the scanning, assessment and penetration testing requirements for PCI DSS compliance. We uniquely offer a combination of fixed-price and bespoke testing solutions, enabling you to choose the right option for your needs and budget. Which penetration test do you need? IT Governance is an approved QSA provider and CREST-accredited penetration testing provider with extensive experience and a solid track record. Easily select the solution appropriate to your needs and budget from a range of fixed-price and bespoke options. Rest assured in the knowledge that the work will be carried out to rigorous standards as mandated by CREST, of which IT Governance is a member, by qualified and knowledgeable individuals. IT Governance is an approved PCI QSA company, which means we meet and exceed the business and technical requirements as specified by the PCI SSC. Benefit from our extensive expertise in PCI and ISO 27001, which means we can help you cost-effectively integrate your ISMS with other security frameworks. Take advantage of a vast range of PCI documentation toolkits, guides, publications, training and staff awareness courses that will help you build your knowledge and maintain compliance with the Standard. Our independent and unbiased advice means we are not affiliated with software providers, and we leverage your existing technology where possible. Choose a penetration test suitable for your PCI compliance requirements now.